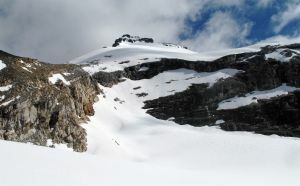 This peak is #89 on the Height List for Alberta .Located NW of Mount Alexandra. Name Notes: Named in 1919 after the village of Fresnoy, France. It was captured from the German's by Canadian troops in 1917 during World War I.